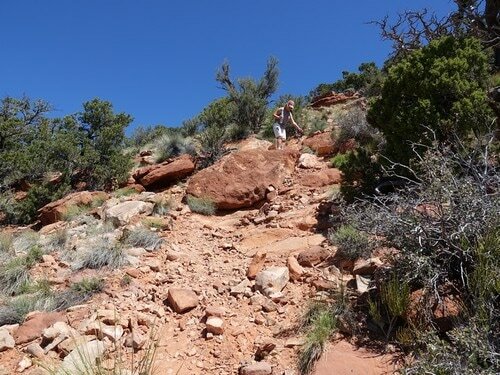 ​This is a narrow, twisting trail through pinion pine and juniper to a high point with a panoramic view of nothing special. The trees will brush your vehicle. 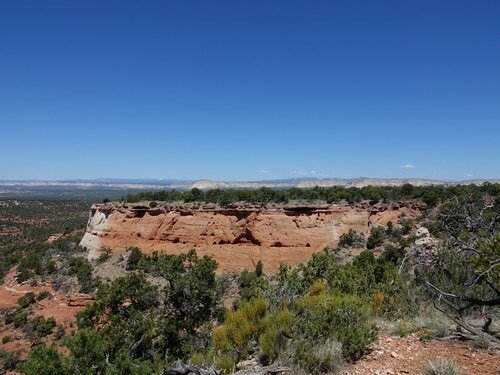 There is a steep hike at the high point that will take you to a very nice set of large dinosaur prints. 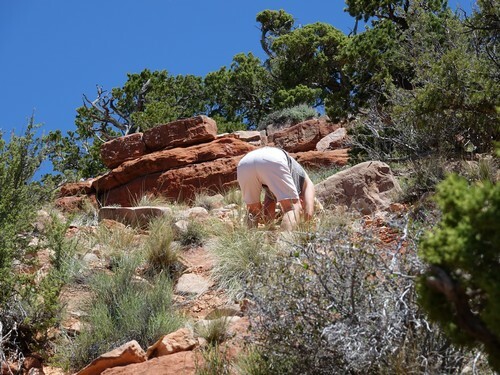 Back down the same trail and then through a weak 3.0 canyon. 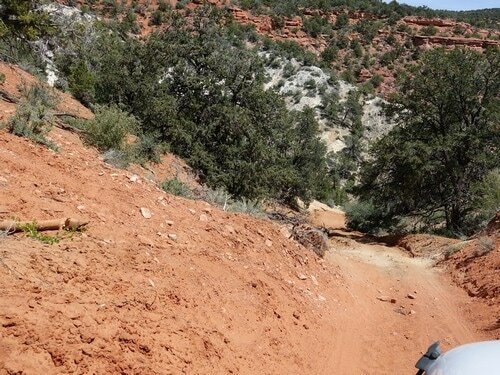 If you simply do Flag Point and return to Johnson Canyon road the trail will be only 2.0. 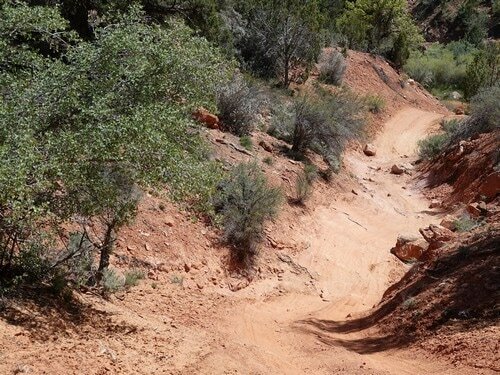 We started this trail from the Johnson Canyon Road, but it can be run in either direction. 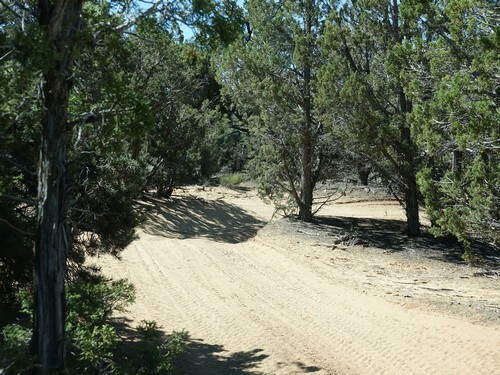 The road going in is generally wide and smooth, but the spur to Flag Point is winding and narrow. Your arms will get tired turning the steering wheel and tree branches will brush your vehicle. 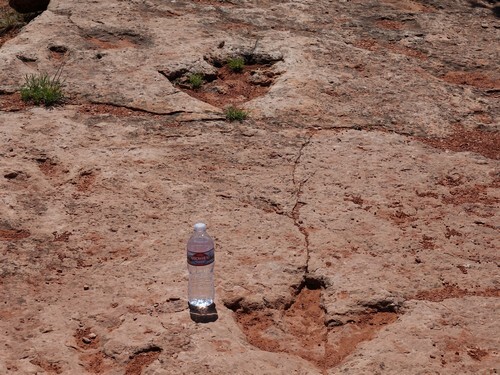 The high point for us was the set of large (and small) dinosaur prints accessed by a short, steep hike. 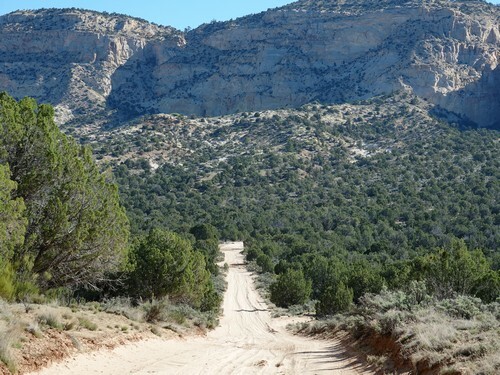 Walk a couple hundred feet to the right of the parking and you will see a well worn trail heading down the cliff. The prints are in the saddle below you. 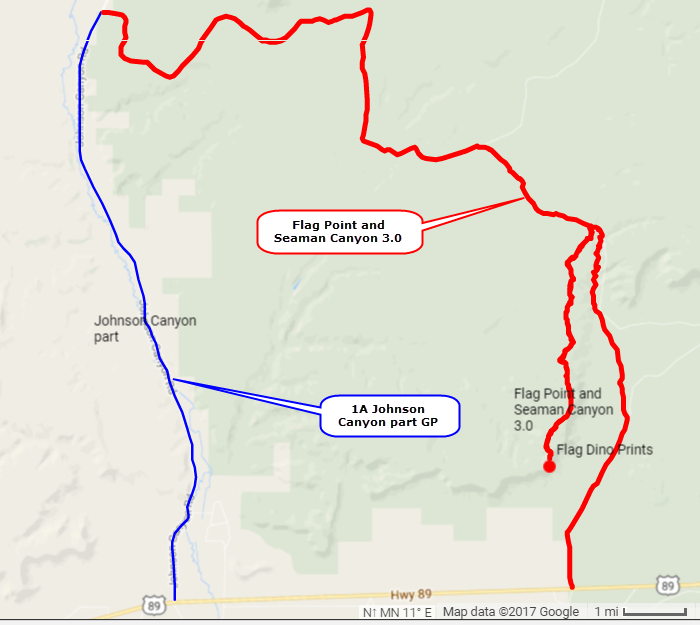 A short distance after you return from Flag Point you will descend a steep, sandy hill into Seaman Canyon. Pay attention or you will be pulled into the ditch and need to be winched out. Unfortunately, this is the voice of experience speaking. 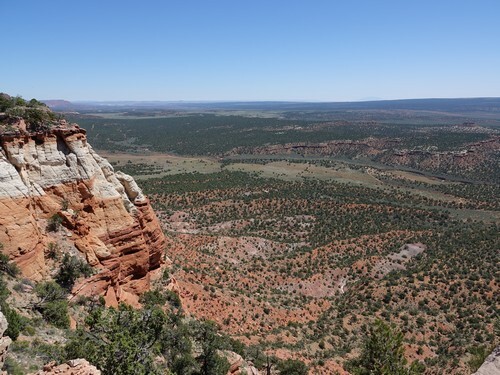 The canyon has a mild 3.0 rating.